We understand you many have a lot going on in your head when it comes to chiropractic care. 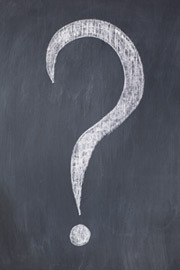 So, enjoy our list of most commonly asked questions! Q: Does my insurance cover chiropractic care? A: The majority of the insurance companies cover chiropractic care. In order to be hundred percent certain, relevant policies have to be checked. Our experienced staff can help you with that, just give us a call and we’ll figure it out! Q: Do you offer an Affordable Care Plan? A: For those that do not have health insurance, high deductibles and/or co-pays Affordable Care Plans are available. Q: How much does a visit cost? A: We can tell you the exact cost only after analyzing insurance policies and complexity of your situation. The cost will depend on the treatment plan and the chosen technique. We assure you that whatever be the cost, the treatment will be worth your money! We think you’ll agree! Q: How easy is it to balance the cost and regularity aspect of chiropractic care? A: We understand that for a common person attending a chiropractic session three days in a week is not feasible. We prepare our schedules keeping that in mind. It helps us and our patients to balance the cost and regularity aspect without compromising the benefits from your care. Q: Is chiropractic care a lifelong process? A: It is a myth that chiropractic care is a lifelong process. At Health Point Chiropractic & Wellness Center, we do not push for the lifelong process… unless you want it. We believe that the choice is yours. Once you experience our care, you’ll understand the difference between a well-aligned and ill-aligned body structure. Whenever you feel that your body is out of alignment and you need to be pain free, you can walk in to our center and get back on track! We look forward to helping you! Give our Dunwoody chiropractic office a call or click here to email us and we can arrange a time to explore your options!